Last week, a district court judge in Washington, D.C., (Judge Collyer) ruled in favor of the House, holding that the executive branch had indeed violated the Appropriations Clause. In particular, the judge ruled that § 1402 of the Affordable Care Act, which seeks to direct federal resources to reduce the extent to which health insurers will charge deductibles, co-payments, and other forms of “cost sharing” to individuals of modest financial means, was never specifically funded by Congress in an appropriation legislation, and that the executive branch’s funding of § 1402 using monies that are statutorily appropriated for other purposes is unconstitutional. It should be obvious that the Constitution’s command that federal money be spent only according to congressional authorization is an important limit on the federal government and the executive branch. It should also be obvious that, in an operation as far-flung as the federal government, deciding what the precise contours of particular appropriations laws are—and whether the executive branch’s expenditures fall within them—can be very complicated and statute-specific business. 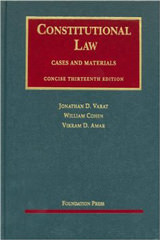 When the case goes up the appellate ladder, these questions may consume a great deal of time and attention, but only if the higher courts first agree with the district court on a threshold matter—that the House of Representatives has legal standing to sue the executive branch in this context. That is the question I explore in more depth below. According to the district court, the House brought suit “as an institutional plaintiff, to preserve its power of the purse and to maintain equilibrium between the Executive and the Legislature.” In other words, the House contends that the decisions it made to fund (or not fund) certain programs are completely disrespected—and its votes are rendered a nullity—when the president spends as he sees fit, with or without authorization in the form of an appropriation. It is unusual for a legislature to have standing in federal court to contest executive action. The more ordinary situation in which an elected legislature seeks standing in federal court involves the legislature’s attempt to defend rather than attack government action. When the executive branch of a state (or the federal government) does not defend a law that is challenged by private individuals, the elected legislature may under certain circumstances be permitted to do so instead. But there have been at least three prominent Supreme Court cases extensively analyzing claims that legislatures or legislators have made to vindicate their own legislative powers by bringing—rather than defending against—a federal lawsuit. 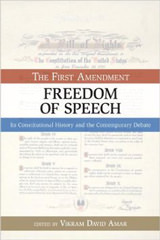 The first is Coleman v. Miller, a 1939 case in which a majority of the Kansas state senate challenged the actions of the state executive branch in connection with the ratification process of a proposed federal constitutional amendment. The state senate had deadlocked 20-20 on whether to ratify an amendment authorizing the feds to regulate child labor. Normally a 20-20 tie would be construed as a decision not to ratify (since there wasn’t a majority to ratify). But the lieutenant governor of the state (as presiding officer of the senate), decided to cast a vote—as he would in ordinary legislation—and voted in favor of ratification. The state senators who had voted against ratification, joined by three others to make a majority of the senate, sued to block the state from telling federal authorities it had ratified, claiming that the lieutenant governor had no business participating in the ratification vote under Article V of the federal Constitution. The U.S. Supreme Court ruled 5-4 that the plaintiffs had standing, reasoning that the lieutenant governor’s actions, if indeed violative of Article V, completely and improperly nullified the valid votes of the elected state legislators. Because their votes against ratification had been unconstitutionally ignored altogether, they had suffered an injury cognizable in federal court. Coleman was explained and distinguished in 1997 in Raines v. Byrd. In that case, a handful of U.S. Senators and House members brought suit to challenge the constitutionality of the federal Line Item Veto Act (LIVA), a statute passed by Congress and signed into law that purported to give the president, with respect to each future budget bill in which Congress had not indicated an intent otherwise, the power to sign the budget bill into law but then decline to spend any money on certain budget items of his choosing. The plaintiffs in Raines claimed that giving the president such authority diluted the power of Congress, because any votes on subsequent budget bills in Congress might not be given full effect by a president who decided to spend on some, but not on all, the budget items Congress had adopted. The Court in Raines found plaintiffs lacked standing, distinguishing Coleman in at least three ways: (1) in Coleman, a majority of the Kansas senate voted to sue, whereas Raines involved only a handful of members of Congress, and neither house of Congress authorized the suit; (2) in Coleman, the vote of the twenty Kansas senators was being nullified altogether by the lieutenant governor’s actions, whereas in Raines the dilution or diminution of the “effectiveness” of Congress’s votes in any future budget bill may not have been as extreme; and (3) the Kansas state senate had already voted on the ratification measure in question in Coleman (and the effect of its vote in a particular instance was thus at stake), whereas in Raines the alleged harm related to future votes Congress might cast but had not yet cast. The third case, decided just last year, is Arizona State Legislature v. Arizona Independent Redistricting Commission. (ASL) The merits question was whether the people of a state may, via an initiative measure, create an independent redistricting commission, i.e., one that is not controllable by the elected state legislature—to devise all congressional districts, as Arizona voters did in 2000. The elected Arizona legislature argued that the so-called Elections Clause of Article I of the Constitution (Article I, section 4) protects elected state legislatures from state laws that take congressional districting out of their hands. Although the Court (properly) found the elected legislature’s argument on the merits unpersuasive, the Court did hold that the elected legislature had standing to bring the suit. The majority deflected Raines by reminding that the plaintiffs there were individual members of Congress (rather than an institutional body), and that none of the individual plaintiffs in Raines suffered any injury that affected them in a distinct or personal way. “The Arizona Legislature, in contrast, is an institutional plaintiff asserting an institutional injury, and commenced this action after authorizing votes in both of its chambers.” For this reason, the Court said, the case was governed by Coleman: just as the votes of the Kansas senate were completely nullified by the actions of the Lieutenant Governor, so too the votes on any districting plan by the Arizona elected legislature would be completely futile in light of the state initiative that vested power in the independent redistricting commission. How Do These Cases Play Out in the Present Dispute? Like Coleman and ASL, the current Obamacare case involves a suit by a majority of a legislative branch (or at least a legislative body)—and not just a few individual members. Also similar to that in Coleman, the claim here involves a prior—and not future—vote by the House, and the plaintiff’s claim is not just that the prior decision by House concerning appropriations is “affected” or “diluted” by presidential spending without authorization, but that the House’s earlier vote (not to appropriate) was nullified completely. (In this regard, the House’s claim is even stronger than the Arizona elected legislature’s claim that its attempts to engage in districting, which hadn’t yet been undertaken, would be futile). Here’s another potentially relevant factor. In Coleman and ASL, the injury to the plaintiff came from some entity other than the plaintiff – in Coleman it was the lieutenant governor, and in ASL it was the independent commission created by the initiative. In Raines, by contrast, Congress itself passed the LIVA that some of its members believe improperly diluted Congress’s own power. The Raines Court did not actually rely on the self-inflicted character of the alleged institutional injury, but that may be a significant background fact. And since the president is outside of Congress, that fact cuts in favor of standing here as in Coleman and ASL. And here’s yet one more possible consideration. In Raines, the Court suggested that even if the individual members of Congress lacked standing to challenge the LIVA, someone else outside Congress—the intended beneficiary of a spending item that Congress approved but that the president cancelled under the LIVA—would be able to sue later to challenge the Act. And, in fact, such a challenge did occur (and the LIVA was struck down—wrongly, to my mind) in Clinton v. New York. 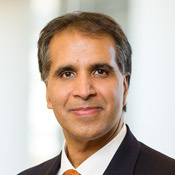 In the present case, it is hard to imagine which private entity would have standing to challenge the president’s expenditures under § 1402 of the Affordable Care Act; it is one thing when the president (as in Raines) declines to spend appropriated money—the intended beneficiary is known and has a distinct injury. But when money is (wrongly) spent, the real losers may be other persons on whom money was never spent because the money ran out, but we may have a hard time knowing who those losers are. It seems that most of the analytic factors the Court has identified so far cut in favor of the House’s standing in the Obamacare case. What does this footnote really mean? Let’s consider its various assertions. The Court is obviously correct in saying that ASL did not, by its facts, concern a suit by Congress against the president. But that doesn’t mean that the analysis in ASL should not carry over. While it is true that there is “no federal analogue to Arizona’s initiative power,” it is far from clear why that matters. Perhaps the suggestion is that offending the People of Arizona and the independent redistricting commission (which would have happened had the Court embraced the elected legislature’s claim) is less problematic than offending the federal executive branch. But why? Indeed, one could argue that legislative standing was less plausible in ASL because the people of the state (who adopted the initiative) can claim to be the supreme legislative authority of the state, even above the elected legislature (which is what the court held on the merits), such that the servant shouldn’t be able to challenge the master. (By contrast, the president isn’t Congress’s master.) 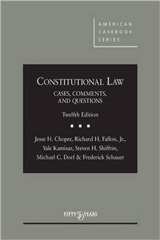 Relatedly, when the ASL footnote goes on to observe that “a suit between Congress and the President would raise separation-of-powers concerns absent here,” that is not to say that the ASL case did not raise separation-of-powers concerns—only that they were state rather than federal separation-of-powers concerns. But why are the former less weighty than the latter? Perhaps the impetus behind the (underexplained) ASL footnote is simple but importantly prudential: the federal courts don’t want to be in the business of arbitrating disputes between the president and Congress as a matter of course because the political stakes are large (larger than when mere states and their internal battles are involved), and the effect such federal clashes would have on the legitimacy of all three of the federal branches could be significant. To see my point another way, whenever the House thinks the president is doing something beyond his inherent constitutional power and in excess of any statutory authority (even if no expenditures are involved), it could recast its complaint from one over statutory meaning to a claim that the president has violated the Constitution—by making law unto himself in the absence of congressional involvement (as in the Steel Seizure case). And yet that recharacterization does not change the fact that, at base, disputes like this are really about what already-enacted federal statutes mean and how much power they confer to the president. And the federal courts may simply not want—especially in these times of divided and bitterly partisan government—the House or the Senate to be able to run to federal court every time they disagree with what the president is doing. That’s a serious consideration, and one that may cause this case to be resolved on the basis of standing, so that on appeal the merits are never reached.